About Bailey Cove Eye Care | Contact Lenses - Bailey Cove Eye Care P.C. We strive to provide the most comfortable, advanced contacts available. Our main objectives are your eye health, vision quality, comfort and to provide cost-effective options that fit your life style. We recommend the newest breathable disposable contacts for our patients. We stock trials in three of the four main brands: Acuvue, Cooper, and Alcon. ​In addition, we can get trials in almost any brand as long as it is a healthy choice for the patient. You must have your full eye exam with one of our doctors, during which they will fit you for your contact lenses, advise what brand of contact lens best fits your eyes and lifestyle, and then the doctor will hand you off to the contact lens technician. This ensures that you will receive the appropriate fitting charge with your exam on this date of service. Depending on your background and the lenses in stock, the contact lens technician will train you on insertion and removal, cleaning and general care for your new contact lenses, and will have you sign a form that indicates your wear schedule. A copy of this form will go home with you. The fit of the contacts will be checked under a slit lamp, and any necessary adjustments will be made prior to your departure. It is customary for you to return to the contact lens technician after one or two weeks -(wear your contact lenses into the office) so that we can double check the fit after the contact is well-settled into the eye and your vision. We will review any vision issues, comfort problems, or satisfaction with the contacts to ensure your needs are met. If appropriate, we will finalize the contact lenses at this visit. There are typically no charges associated with this follow up visit. Please note: If you did not have a contact lens exam during your time with the doctor, you may not just schedule with the technician to be fit. The doctors must see you. You have 30 to 45 days to complete the contact lens fitting process without further exam-related charges before you must schedule for your prescription to be rechecked by the doctor (which will cost $32.00) and adjustments made to your contact lens trial prescription. Many contact lens rebates require the exam/followups/finalization process be done within this time limit as well, so if you delay your visits for any reason, we cannot guarantee that you will be eligible for the rebate. Although we will work with you to help with the process, we are not responsible for any rebates the manufacturer denies. 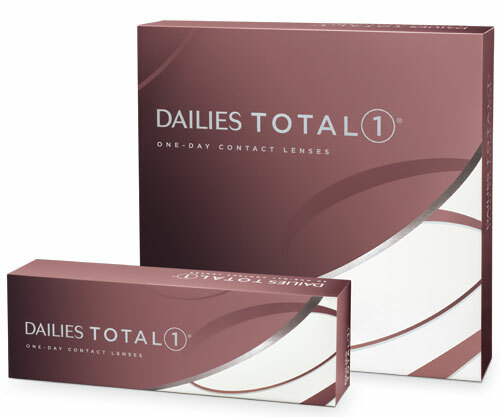 Contacts that work for patients with Dry Eye.